Homeowners are typically aware of the common electrical dangers present in one’s home. However, uncommon electrical dangers, like dust and overheating of wires, are not as obvious and can pose a great risk. Read on to find out more about potential electrical safety risks and how to safeguard against them. Common electrical risks include faulty wiring, unattended portable heaters, and the overuse of extension cords. Faulty wiring can result from any number of issues related to original home construction or renovation projects. Be sure that electrical work is always performed by a quality electrician. 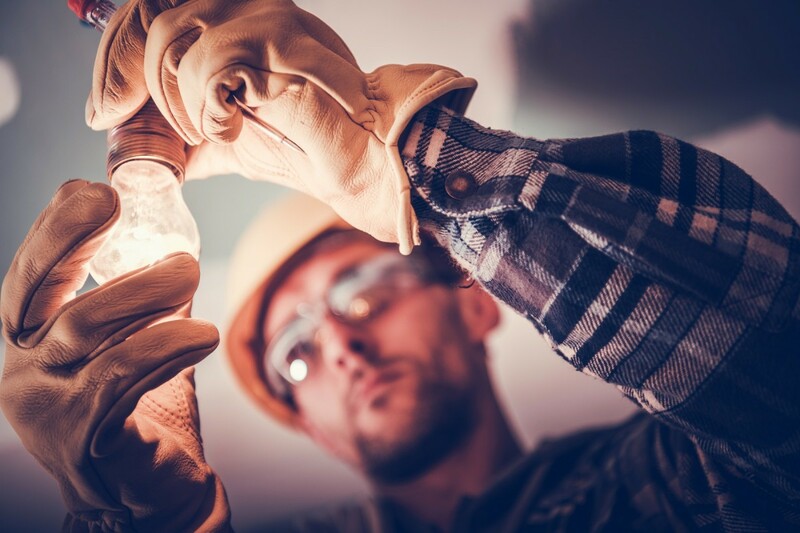 If you have doubts regarding the existing wiring in your home, be sure to contact an electrician immediately for an inspection and possible replacement. Extension cords become an issue when homeowners make them a permanent solution to a temporary need. They are not designed for extensive use with multiple devices. A homeowner should consider having additional, upgraded outlets installed rather than using an extension cord as a substitute. Computers, dust, and old appliances pose as uncommon electrical dangers. Computers, even newer models, can generate significant amounts of heat if they are not properly ventilated. Overheating affects wires more than homeowners often realize. The rubber covering wires serves as an insulator to protect against electric shock. As electricity passes through the wiring, heat is generated. The rubber insulator is designed to tolerate a specific amount of heat. Therefore, exceeding this heat capacity can cause an electrical fire. Did you know that dust can actually be an electrical hazard? Dust around the home can enter sockets and ignite if there is a significant accumulation. Old appliances may also be a potential risk for electrical fires. Older appliances often have internal wiring that can slowly become defective. These concerns are issues that all homeowners should be aware of in order to prevent accidents. Looking for residential electrical service in the Lutherville-Timonium area? Contact Tim Kyle Electric to help you safeguard your home against common and uncommon electrical risks. Your family’s safety is our priority.